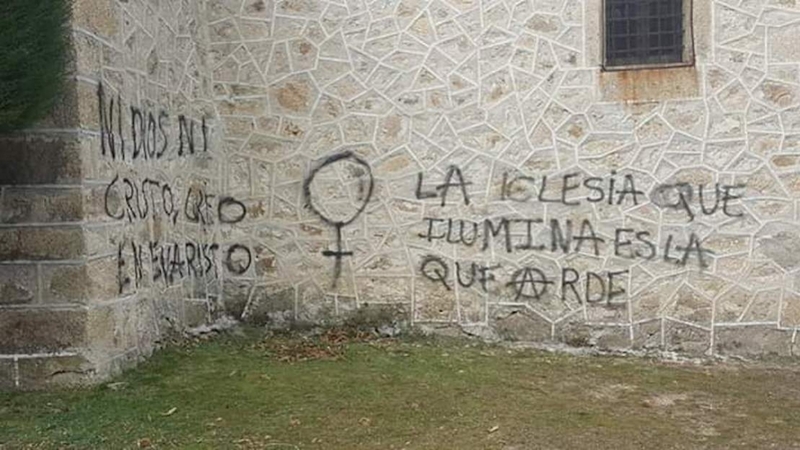 "The church that illuminates is the one that burns" and other anarchist and feminist slogans and symbols were painted on two churches in small towns in Ávila. The Diocese of Ávila denounced the acts as attacks not only on the heritage of the small towns, but against mutual respect and religious freedom. A complaint was filed with the police. In response to the incidents in Gil García and Umbrias over the weekend of February 9th and 10th, the Diocese noted that freedom of religion is recognized and protected by the Spanish constitution and that "respect must be the fundamental basis for a peaceful and free coexistence as a society."